A 654 acres preserve offering hiking, fishing, cross-country skiing, snow-shoeing, bird watching, and nature study. It was named after the last natural brook-trout spawning stream in Westchester. Bow hunting is allowed in season. No dogs allowed. 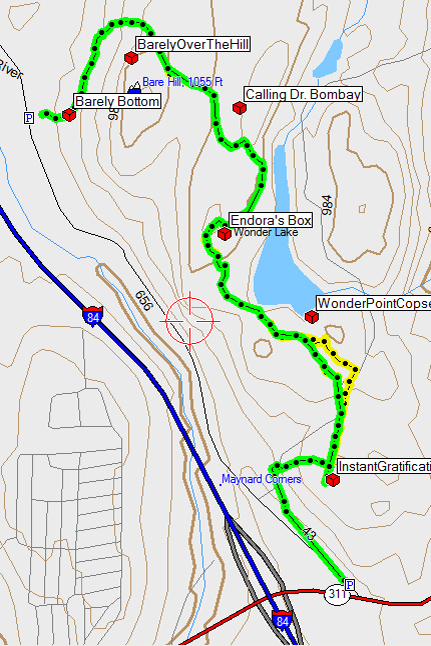 There is also access near the Somers Library (82 Primrose St, Katonah) with connecting trails from Reis Park. This 114 acre open space is known at the racetrack because of horse races held in the 1950s. There is parking for a couple of cars at the listed coordinates. Don't park there if the gate is open, since an open gate means horse trailers are using the road. There is more parking space along the side of Baxter Road a little further east. This preserve has open fields and mowed paths around a lovely lake. There are some side paths through the woods as well. Dogs are allowed on leash, and off leash some hours - check the signs at the entrance for more dog leash details. Main entrance: 435 Welcher Ave, Peekskill, NY // Additional parking on Montrose Station Road or Wooddale Ave or there is limited parking by the wall across the street from trailhead on Maple Ave: N 41 16.850 W 073 54.260. 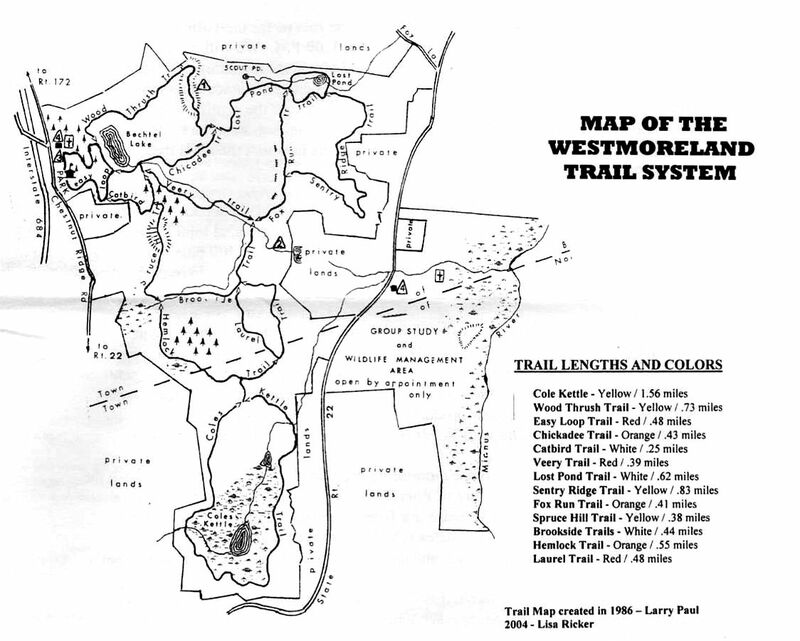 Located in Peekskill, there are a range of trails for hiking and mountain biking. The largest sanctuary managed by the Saw Mill Audubon with just over 3 miles of clear, well marked trails and a pleasing pond with frogs, dragonflies, etc. Dogs are allowed on leash. Really pretty park stretching along the I95 in Greenwich. Pond, croquet court. Dogs are welcome. The town of New Castle acquired a great open space area which used to belong to William Burden, the ambassador to Belgium under Dwight Eisenhower. From the parking area off Sheather Road you will find a set of trails looping through this 124 acre wetland area, crossing streams, passing ponds, and climbing a small hill with views to the southeast. A very pleasant Nature Conservancy park in Bedford located across the street from the larger Westmoreland Sanctuary. It's an IBA bird sanctuary with an interesting bleecher stand hawk watch located near the main entrance. 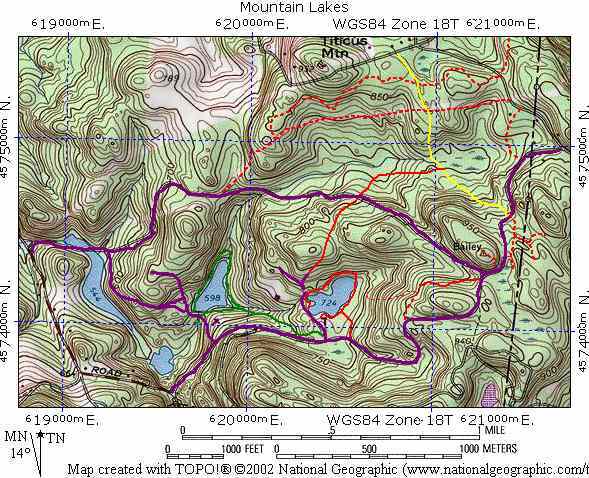 There are a few miles of marked trails with some moderate hills. It's easy to loose oneself so taking a trail map is recommended. Dogs allowed. The main entrance and parking for a dozen or so cars is located off of Chestnut Ridge Road on the west side of the 684 at (N41 10.950 W073 41.191). There is also an entrance off of Byram Lake Road (N41 10.452 W73 41.239). There is also a connecting BRLA trail between Butler and Merestead but the end points are somtimes overgrown and difficult to locate. The Orange Trail/Butler side of this connecting trail is at N41 11.069 W073 41.854; the grandmother trail/Merstead side is at N41 10.898 W073 42.060. Small, 23 acre preserve in Pound Ridge with a short loop hiking trail through a nice hilly landscape with some pretty large rocks. Parking for a few cars. No pets allowed. The 948 acre park has no marked trails. It includes the 94-acre Waywayanda Lake which allows boating. Hunting is a major activity, so be aware of hunting seasons (Oct 1 - Dec 31). Small preserve with a couple of trails. Dogs are allowed in parts, but not in the wildlife refuge area. Parking is sometimes available in the furthest west corner of the Mount Kisco Presbyterian Church parking lot alongside Route 133 and across from the sanctuary or on Red Oak Lane. Dogs are permitted on leash. The small sanctuary has approximately 1 mile of walking trails, clearly marked. A small parking lot with room for 3 or 4 cars is at the trail head. Dogs allowed on leash. The trail from the parking area branches into two major trails leading to the 46 acre Ice Pond on the edge of the Great Swamp. The left-hand trail goes through the woods. The right-hand trail skirts a wetland. 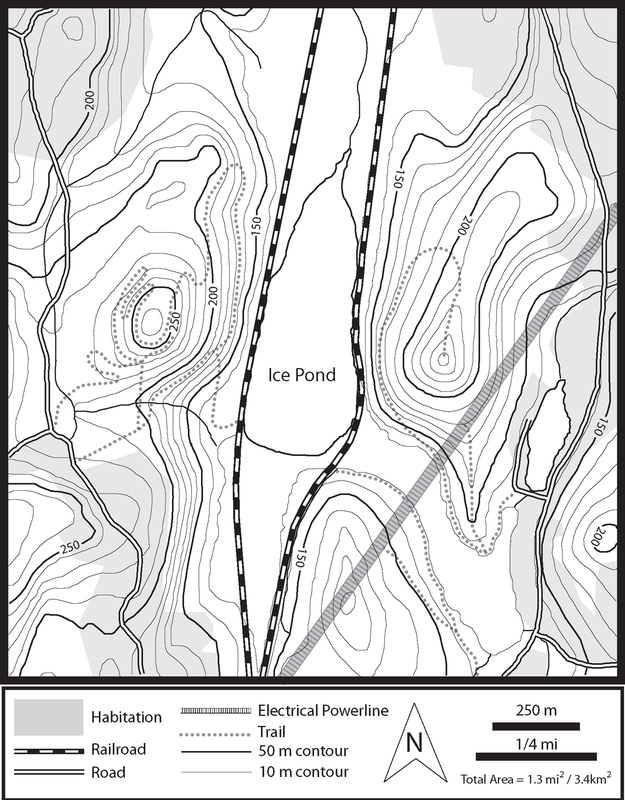 Both trails rejoin just prior to the railroad tracks at the Ice Pond. Twin Hill Preserve borders Clough to the north, but trails do not seem to connect and their is a great swampy area betweenthem. A 190 acre park with hiking trails around a lake and an old quarry. The park is open dawn to dusk, daily. The Nature Lodge and front gate are open Wednesday-Sunday from 10 am to 5 pm. No dogs allowed. Mrs. Crawford left her mansion and property to the Town of Rye to be used as a park for passive recreation. The grounds are large enough for a brief stroll. Dogs are allowed in this park, but not in the adjacent park to the south. During the summer season, there is a parking fee in Croton Gorge Park. However, you can easily access the park by foot, from the Dam or the Old Croton Aqueduct. Dogs allowed on leash. Located a short distance south of Croton Gorge Park, and may possibly be part of the same park though labelled separately on the map. Access both parks via the Old Croton Aqueduct, aka Old Croton Trail State Park. Seasonal parking fee may apply. Dogs allowed on leash. Huge parking lot, many picnic tables. This large park in Peekskill has many quiet wooded trails. It connects to Blue Mountain Reservation to the south. There is also a swimming pool and dogs are allowed. Great waterfront sanctuary located next to Playland. When Playland isn't open there is free parking, $7 otherwise. Drive through the large lot and keep going following signs to Edith Read where there is a smaller parking area. No dogs allowed. This 135 acre sanctuary is not a formal garden, but a natural area, with introduced wildflower species and some interesting terrain. Approximately 8 miles of trails wind through the landscape with a stream, pond, wetland meadow, red maple swamp, hillside wetland, emergent freshwater marsh and a wetland scrub thicket. Plus shady gorges with mature deciduous forest and a grove of white pines. The is a small parking lot at the entrance on North Porchuck Road. No dogs allowed, though they have a cute sign telling the dogs this in "dog language". Nice gentle climb of approx. 1000 feet takes you up along Fishkill Ridge with some beautiful views of the Hudson and surrounding area. Formerly known as Mohansic Park and Mohansic State Park, this park was created in 1922 on the former site of the Mohansic State Hospital. In 1923, Westchester grew over 20,000 species of pine, spruce and evergreen trees on the park grounds which were used for transplantation in other Westchester parks. During the Great Depression, a Civilian Conservation Corps Camp was placed in the park, and several buildings remain. In 1957, New York State acquired the property. It was renamed to Franklin Delano Roosevelt State Park in 1982. This is a large park in Yorktown with a number of facilities (pool, lake, boat launch, picnic areas) in addition to hiking trails. There is a parking charge on weekends starting mid-May and Daily from Memorial Day-Labor Day. Alternate parking may be found at Downing Park, off of rt. 202 N 41 17.599 W 073 48.581, where connecting trails will lead you into FDR Park. This small preserve is located at the top of the hill in front of Brewster Ice Arena. There is parking at the ice rink. A large recreational park with fields and tennis courts. It also has a waterfront nature trail, boardwalk, and marsh with birdlife and views of the sound. No dogs allowed. The Ruth Walgreen Franklin and Winifred Fels Memorial Sanctuary is 204 acres of mainly low deciduous woodlands, Red Maple Swamp and Shrub Swamp. It's been mostly undeveloped, but is gradually being improved by the Bedford Audubon society. Dogs may not be allowed, but there was no signage specifically disallowing them as of May, 2007. A very nice woodland park with some hills and streams and a couple of scenic view points. Trails are slightly hard to follow. Dogs allowed on leash. Parking is at the ballpark across the street on Sprout Brook Road. At 126 acres, this is one of New Castle’s largest parks. It is extremely varied, with fields, wetlands, a manmade pond, streams, rock walls, and steep rocky woodlands. It is very popular with dog walkers. There is a backdoor entrance on Barnes Lane N41 10.839 W73 47.922 with room for a few cars at the end of the cul-de-sac. A 208 acre waterfront park with a boat launching area in the main section of the park accessed from Dutch Street. 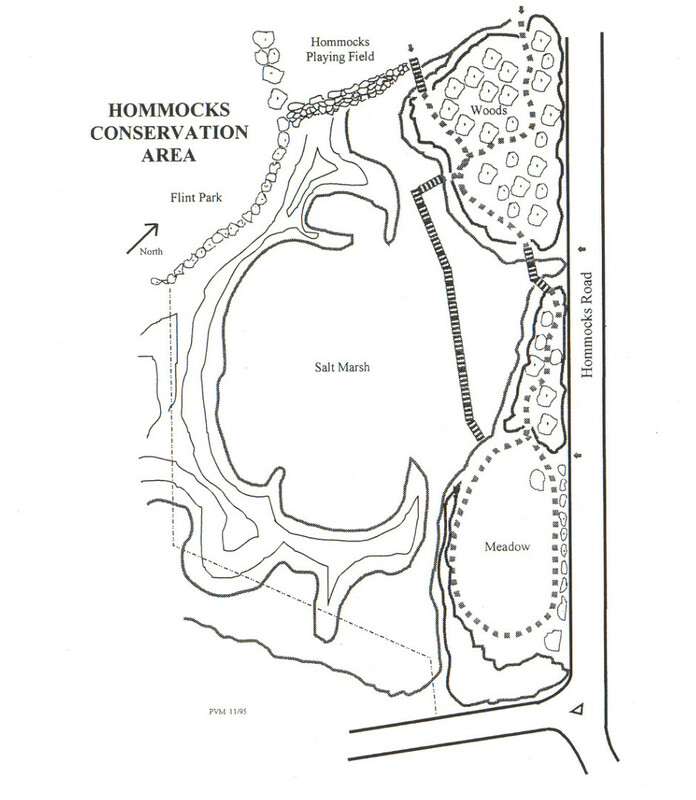 A lesser used section of the park can be entered from the Montrose Point Road parking area. Dogs are allowed on leash. Westchester Park entry fees apply May - September. Nice 44 acre park with trails through open fields and forest. The park contains demonstration areas of how homeowners can live with nature including a deer resistant garden, selected shrub plantings, and bird boxes. A 105 acre island park is connected to New Rochelle by a drawbridge built in the 1920s. Parking fees are required May - Sept. Dogs are allowed on leash. This 36 acre preserve in Southeast has two trails for easy hiking. A small parking area has room for 2-3 cars. A 44 acre park in Greenburg with some hiking trails and a lovely pond next to a play area. No dogs allowed. Very nice small audobon nature sanctuary located across the street from Oscawana County Park. Don't blink, or you'll miss the entrance on Furnace Dock Road. There is another entrance near the end of Briggs Lane. Walk up the private driveway of the last house on Briggs Lane to the trail head at N41 13.551 W73 54.817. Dogs allowed on leash. Graham Hills Park features several miles of aggressive single track for the intermediate to advanced rider. Hikers on busy weekends should watch out for speeding cyclists. The entrance is located in Pleasantville on Rt 117, just East of the Taconic State Parkway. Dogs allowed. This is a relatively new park with lots of hiking trails through the woods. There seems to be no direct access to the park, but it can be reached from the Yorktown Taconic Trailway by parking at the end of Buckhorn St. Alternatively, the park can be reached from Woodlands Legacy Fields Park and crossing over the freeway via the Taconic Bridge Trail. There is a fee to visit the nature center, but no charge to walk the trails on the property. The property includes 30 acres of woodland and two significant wetland sites. There is a large parking lot. No dogs allowed. Small park with 0.5 miles of hiking trails that rises to a small summit where General Washington's patrols were posted during the American Revolution. An unmarked parking area can be found just north of #284 West Patent Road. Small, 14.5 acre nature preserve on the Eastern edge of New Castle featuring beautiful rock formations and large tulip and sugar maple trees. Small trail system. Dogs allowed. 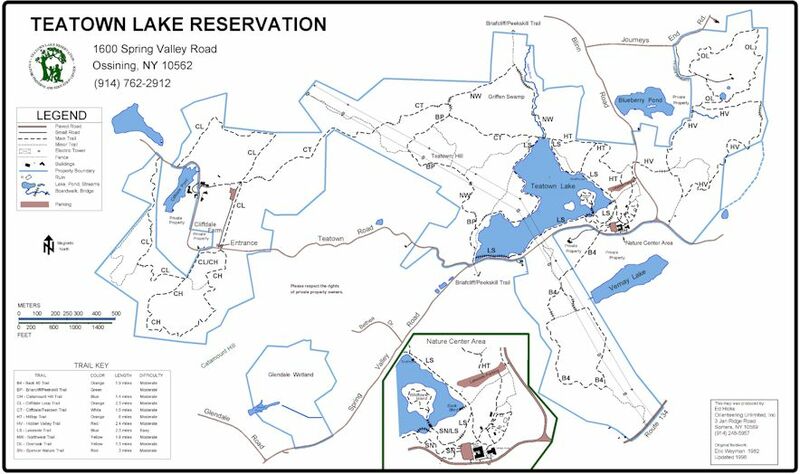 Parking for the preserve is on the side of the road near a white gate at N 41 13.011 W 73 33.748. The preserve has one basic trail that takes you down the ravine and back with a few side spurs. These three adjacent preserves in North Salem are 53; 70; and 11 acres respectively. O'Donohue is to the north, located along Grant Road. Park with harbor views and lots of parking for playing fields. Beautiful 235 acre wooded park/preserve with winding hiking trails in Briarcliff Manor. The main entrance is off Dogwood Lane. There's another entrance and room for 1-3 cars to park near 309 Hardscrabble Rd., but the way in from Dogwood is more scenic. The place is popular with dog walkers. This 123-arce preserve is the former Gaisman Estate. It is open dawn to dusk, and has 2.5 miles of trails through primarily pristine woods with streams, ponds and meadows. The roadside opening to the preserve is small and between two homes. No marked trails in the 14 acre preserve. 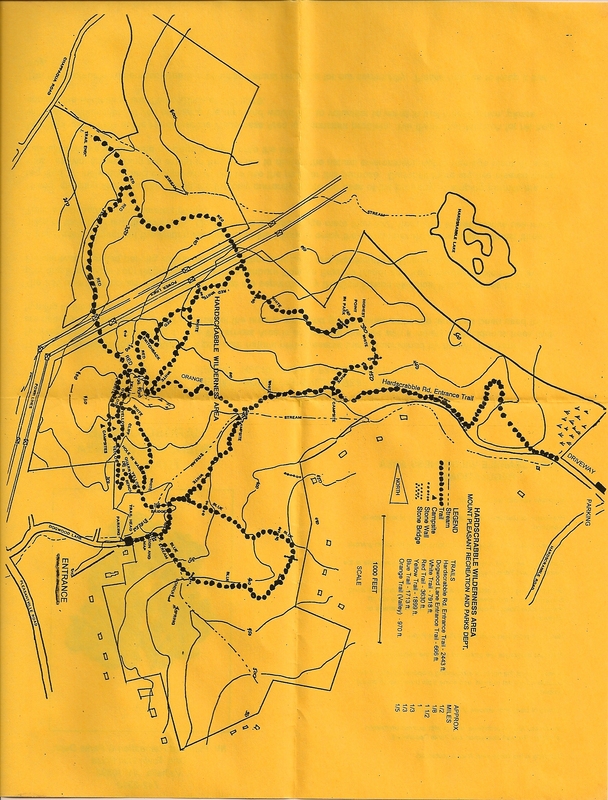 Three separate, inter-linked trails in 134 acres of forest. Open from dawn to dusk. One parking area is located across the street on the east side of Hanover Street next to the fruit stand, additional parking is available next to the trail head. No Dogs allowed. Open 10am - 4:30pm year round with 3.5 miles of hiking trails. A 10.6-acre parcel comprised of woodland, salt marsh, and meadow areas, including 3.6 acres of tidal wetlands. There is a boardwalk and viewing platforms making it a great spot for birding. Located near the Westchester -- Putnam County borders. This large park (over 6000 acres) is split into several parcels. 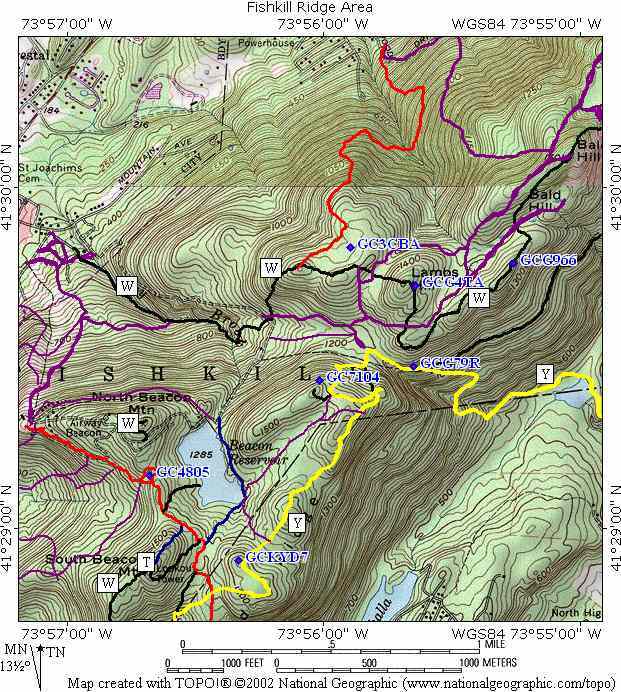 The big northern section includes Breakneck Ridge and the Appalachian Trail passes through another chunk shown in the South Trail map. There is a small parking area for the south parcel along Rte 403 at N 41 21.501 W 073 55.548. The James Ramsay Hunt and Mary Welsh Parker Memorial Sanctuary boasts a well-established marked trail system through a variety of habitats in this 318 acre park. A 21 acre preserve in Bronxville/Mt Vernon with a short bit of hiking trails along a stream. Very popular spot with dog walkers. Another gem of a small park in Yorktown Heights with at least one trail. The trail head is approximately 0.1 miles west of the small parking area. No dogs allowed. A 45 acres preserve along the stream corridor of the Hunter Brook, an important tributary of the Croton Reservoir, in Yorktown. This 76 acre preserve is Dobbs Ferry’s largest park. The woodland preserve has several hiking trails. Dogs are allowed. The estate was named for John C. Juhring III, a landscape architect, who acquired the property in 1909 and whose Belden Avenue residence was at one time contiguous to the current 76 acre parcel. By the early 1960s the land was owned by Edward J. Tobin and Reuben Chase, both investors, who were planning to subdivide the property into 115 lots. Public outrage prompted the village government to acquire grants from the federal and state governments to purchase the property as open space. The only stipulation that came with the federal and state grants was that the land remain undeveloped, open and available for the public to enjoy. Small wooded Preserve. Dogs allowed. Large park with clearly marked trails through the woods. Dogs allowed. This mile long trail is part of a permanent public easement made by the nearby Rosecliff residential development. Although short, it's a beautiful, quiet trail through the woods. A 26 acre park located near St. Matthews Church in Bedford. Parking can be found near the rear of the church parking lot. Dogs allowed. Small, 18 acre park near the 1883 Tarrytown Lighthouse. There is a small dog park. Popular, dog friendly hiking area. Park hours 8am - dusk. An additional parking area for the North County Trailway at N 41 13.876 W 073 46.746 gives access to the north side of the preserve. 66 acres of woodland with a few trails can be found in this small park bordering the North County Trailway in Somers. The park boundary is fenced along the trailway, but there is an entrance with a side trail linking to the NCT at N 41 19.828 W 073 45.451 Park hours 8am till dusk, dogs allowed. 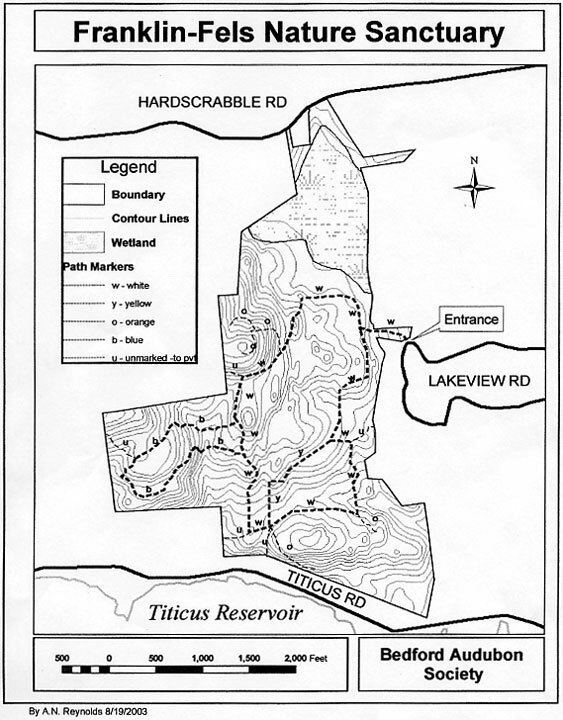 Hiking trails around a couple of lakes. Dogs allowed. Fabulous preserve with varied terrain, rock formations and a pond. Parking for about 4 cars along the side of Cornwall Hill Road. Nice trail running between houses in Larchmont and also crossing through Saxon Woods. Small, 40 acre preserve with a few trails and bird watching. No dogs. There is a a nice new (2016) parking area for this 386 acre preserve that will hold several cars. Trails loop around with some elevation gain and interesting stone ruins near the north end. There is a large parking lot near the pool and frisbee golf course. Behind the pool trails lead off near the disc golf area and head through the woods joining up with neighboring Marsh Sanctuary. Small preserve with 0.7 miles of trail next to Lake Waccabuc. Two small, very nice adjacent preserves in Katonah. Marion Yarrow has a lovely little waterfall. Trails in Mount Holly Sanctuary can be a bit muddy. Dogs allowed on leash. There is a small parking area for 2-3 cars along Mount Holly Road just north of Holly Hill Lane and an additional parking area for a couple more cars across the street a short distance north. An additional entrance with room for a car or two can be found off of East Mount Holly Road at N 41 16.524 W 073 37.306 . There is a parking lot next to the caretakers house on Rte 172. This is a large 156 acre preserve with ample walking trails. Dogs allowed. Other trail entrances are to the SE on Sarles St and faint trails can be found in from nextdoor Leonard Park. Additional parking off Sarles St or another Sarles St entrance at N 41 10.826 W 073 42.606. The only extensive salt water marsh in Westchester. No pets allowed. Restrooms, maps and information are available at the nature center, 9 a.m. to 5 p.m., Wednesday through Sunday and most holidays. Merestead is Scottish for farmland. The park property includes the former Patterson estate with 2.3 miles of hiking trails. Open daily 8am till dusk. No dogs allowed. There is also a connecting BRLA trail between Merestead and Butler Sanctuary but the end points are somtimes overgrown and difficult to locate. The Orange Trail/Butler side of this connecting trail is at N41 11.069 W073 41.854; the grandmother trail/Merstead side is at N41 10.898 W073 42.060. A 247 acre Nature Conservancy preserve in Armonk. Some rugged sections, with rock outcroppings and a stream that creates a small but beautiful hemlock gorge leading to a red maple swamp. No dogs allowed. This was one of the first Nature Conservancy properties and is only open from April 1 - November 30 (closed in winter). It is in Westchester County NY near the Connecticut border. The Mianus River continues south into CT and the neighboring Mianus River Park in CT is open year round. Parking (N41 11.170 W73 37.308) is near the north end of the gorge on Mianus Road (dirt) near the junction of 172 and 104. It is a private preserve, not a public park/recreation area and does not allow geocaching. The Connecticut side of the Mianus River has this busy park. Dogs are allowed on leash, but lots and lots of unleashed dogs can be encountered on the weekend. A river runs through it, many trails, mountain bike friendly, with limited parking off Merriebrook Lane and more parking on Cognewaug Rd. In contrast to busy Mianus River Park, we seldom see anyone else in this Mianus Park other than the occasional geocacher or horse rider. Dogs are allowed. Be careful parking, as it is easy to get stuck in the mud at the turnouts. This 100 acre area on Montrose Point has a couple miles of well marked hiking trails and a lookout point along the Hudson River. The largest Osage Orange Tree in NY can be found in the forest. Dogs are allowed on leash. Trails connect to neighboring George's Island County Park. No dogs allowed. Very small 32 acre preserve with pond. Iceskating in winter. No dogs allowed. Otherwise, the park has a very nice trail system, ample parking, and farm display stuff for the kids. Hours are limited from 10am to 4pm daily. A small preserve originally managed by the Nature Conservancy but now turned over to the Greenwich Riding Trails Association. It is sandwiched between a nearby housing development and I-684 and contains open fields, pine thickets, stands of maple, marshes and small ponds - all in a rather modest preserve. Large park with miles of hiking trails. Additional parking areas can be found on Nicolas Road and the main DEC lot is off Gipsy Trail Road. Dogs are allowed off leash. The park follows the route of the Old Croton Aqueduct, which carried water into New York City from 1842 to 1955. Most of the structure lies beneath the trail. The aqueduct itself remains intact, and the northern sections continue to supply water to Ossining. 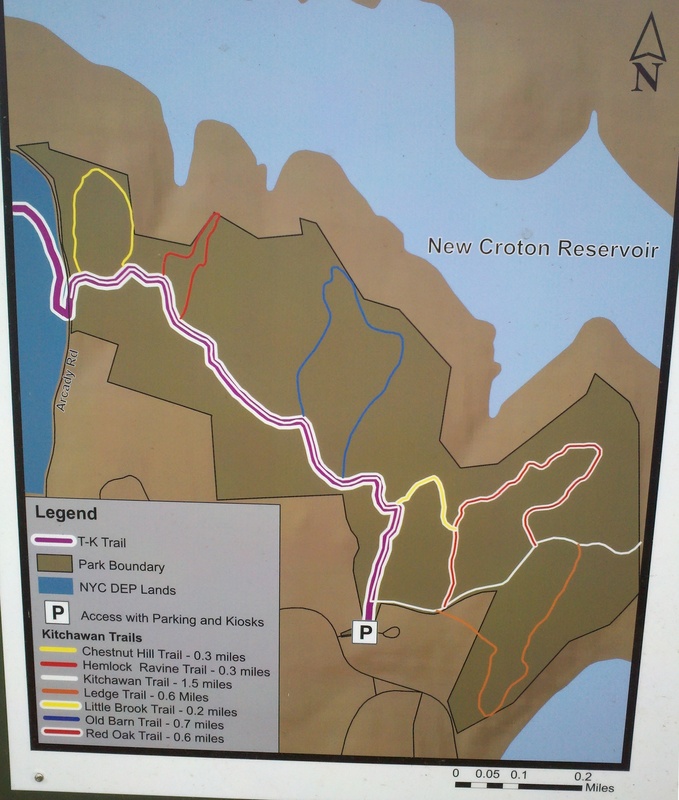 There is a level 26-mile walking path from the New Croton Dam in northern Westchester to van Cortlandt Park at the New York City line. A 110 acre property with walks through fields as the name would suggest. The fields transition to forests as one heads east through the preserve, then pass by horse farms and more fields. A gravel drive into the parking area is located on Mead St opposite Schoolhouse Road. Trails link up with trails in Lewisboro Town Park to the south. Dogs allowed on leash. The small island park to the west has a few trails and Hudson River access popular with fisherman. The larger Oscawana County Park has access points along the southern edge on Furnace Dock Road. The trails are poorly maintained and bushwacking is likely through spots. There are numerous ruins of an abandoned overgrown estate. There's also a small waterfall. A very cute little nature sanctuary with a board walk around a red maple swamp. This property is adjacent to the California Hill State MUA. A 236 acre county park with playgrounds and athletic fields. The undeveloped parts of the site are heavily wooded with trails. Some structures in the park were constructed by the Works Progress Administration (W.P.A.) in the 1940's and have historical significance. Large parking lot. Dogs allowed on leash. The Hart's Brook Nature Preserve is across the street. Excellent wide, well marked trails. Carriage roads are very easy for walking. Stunningly beautiful in the fall. Has streams with bridges, a nature center, Swan Lake, many birds. Dogs are allowed, but bicycles are prohibited. Wheelchair and stroller friendly. The place is crowded on weekends, but nearly deserted during the week. Parking is $6 unless you have a NY state Empire Pass, but free parking can be found near the trail head on Sleepy Hollow Road or along Rte 448 on the eastern side of the park. This preserve consists of 180 acres in the northwest corner of Waccabuc. This property was once productive crop land and pasture but has reverted to forest. Remnants of the old farm house and barn foundations are visible near the south end of the preserve. There are approximately 2 miles of trails. Small town park with athletic fields, dog park, and at least one trail that loops through the woods. Dogs allowed on leash (off leash inside the dog park section). This is a small park with a few well marked trails in the woods. No dogs allowed. There is a small back entrance on Old White Plains Road at N40 57.806 W73 44.871 with room for a couple of cars. You can also access the park from the North by parking on Teramar Way at N40 59.602 W73 45.030. 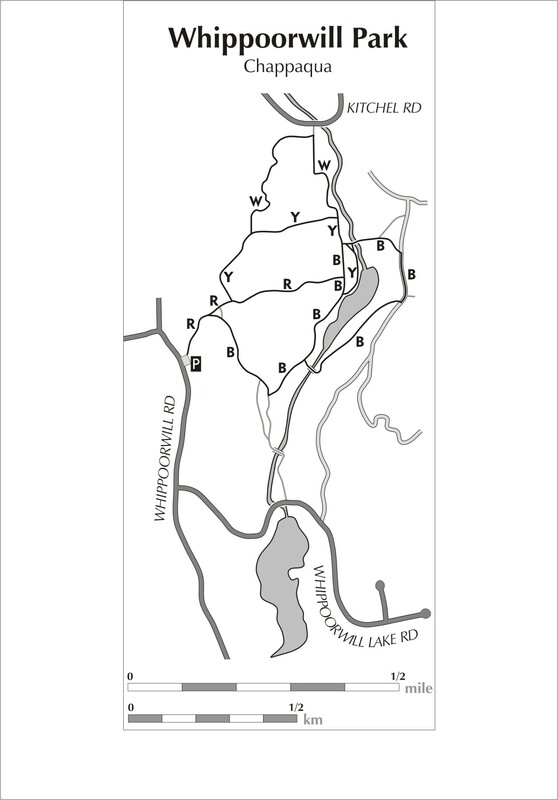 Or park at the golf course (N 40 58.714 W 073 45.622) and find the access trail into the park. This is a large, 700 acre park with a variety of recreational activites (pool, golf, barbecue pits) in addition to hiking trails. Dogs allowed on leash, but not in the adjacent Weinberg Nature Center. The park straddles the Hutchinson Parkway. Parking lots can be found on the eastern side of the park on either side of the Hutch (Exit 23). Alternative parking choices include the Weinberg Nature Center on the west side just south of the Hutch (Exit 22), or street parking on side streets along Saxon Woods Road near the north end of the park. A small bridge entrance can be found across from Teramar Way. Parking fees may apply on weekends/holidays from Memorial Day to Labor Day. Weinberg Nature Center Parking at 455 Mamaroneck Rd. Geocaches: GCC83 // GCC84 // GCVER9 // GC16VXJ // GCRN1E // GC16RPF // GCRNME // GCRA4J // GC2FZ9X // GC2TCC0 // GC39A3X // GC421WW // GC48X1P // GC52CQ4 // GC56YNY // GC5JEPB // GC5QYN9 // GC5R8TW // GC5R8WT // GC5TCMG // GC63V2G // GC654ET // GC68C3J // GC6EK41 // GC8562J // + 18 more wesi caches !! Drive in and park at . The Leatherstocking trail runs along the east side of Sheldrake Lake. Pleasant short walk with nice spots to scope for birds along the dam between the upper and lower lake sections. This 236 acre preserve has rugged topography with woodlands, steep rock outcrops, swamps, small streams and old stone foundations. Small preserve with a few well marked trails. Can be overgrown and buggy in summer, but nice other times of the year. Dogs allowed. It's listed on some maps as the Whipporwill Ridge Park, but both entrances have signage calling it the Betsy Sluder Preserve. There is a large wooden playground built by community members along with two ball fields and access to Tonetta Lake which requires proof of residency and an access fee to use the beach area. There is no charge to use the rest of the park. There are woods with hiking trails at the southern end of the Great Swamp that can be easily accessed from the parking area next to the Town Recreation Center. No Dogs Allowed. A 278 acre park near Yonkers with wooded hiking trails. Other attractions include a pool and picnic areas. An 82 acre preserve with 2.5 miles of walking trails on Rte 134 in Ossining. Opened by the town of New Castle in April, 2008. Dogs allowed. 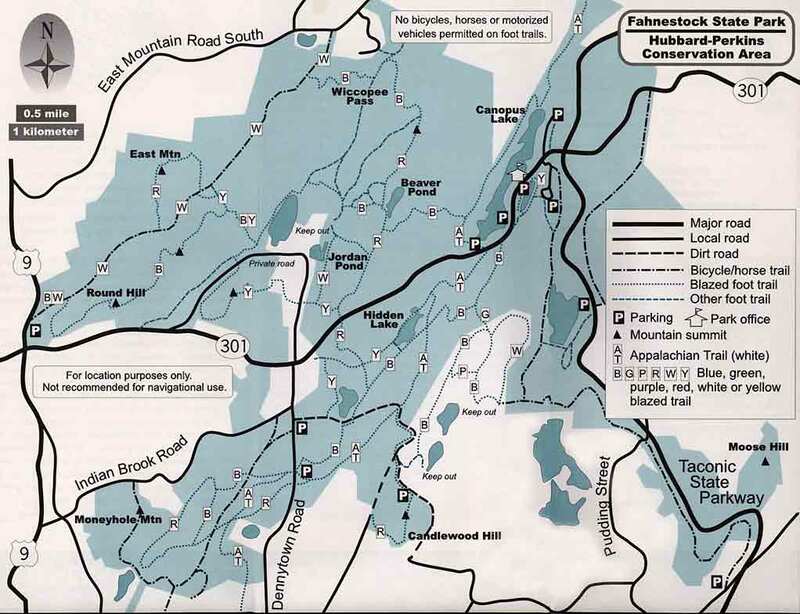 Large park with several hiking trails through woods and around the old Mohegan Quarry. One of the Old Leatherman's caves is said to be found in the park. There is a dog park area near the Morris Lane entrance. There is ample parking, and dogs are permitted on leash in the park, and off leash in the dog run area which is near the Morris Lane parking area. A paved path runs through the woods and along side the reservoir making it a good place for taking a stroll, walking the dog, or doing a little bird watching. 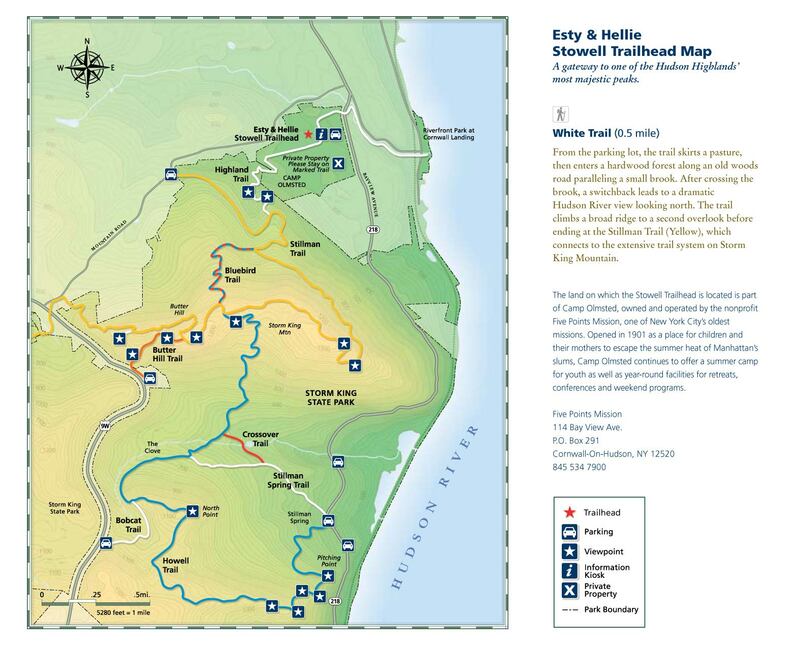 Hiking trails, a permanent orienteering course, and more in this large park. Dogs on leash. Nearly 200 acres of open space with plenty of natural features -- rock ledges, woodlands, streams, and wetlands. Nice park located around a large lake with a boardwalk. Dogs allowed on leash. Tibbetts Brook Park was one of the first parks developed by Westchester County. Its 161 acres offers woodlands, lakes, playing fields, playgrounds and a swimming complex. The walking/hiking trails include part of the 14-mile (23 km) South County Trailway which runs near the western side of the park, and part of the Croton Aqueduct Trail. There are parking fees during the summer months. This 199 acre property includes a farm with pens containing farm animals in addition to hiking trails through the woods. Hours 10am to 4pm. A 100 acre park in CT bordering Mianus River Park on the south and accessible from the Mianus trails. It is open to visitors from 8:00 A.M. until sunset. Dogs are allowed on the property but must be kept on leashes. There are a few parking spaces on the Merriebrook Lane dead-end in Stamford. Two separate park sections approximately 4 miles apart: French Hill in Yorktown Heights and Indian Hill in Jefferson Valley. 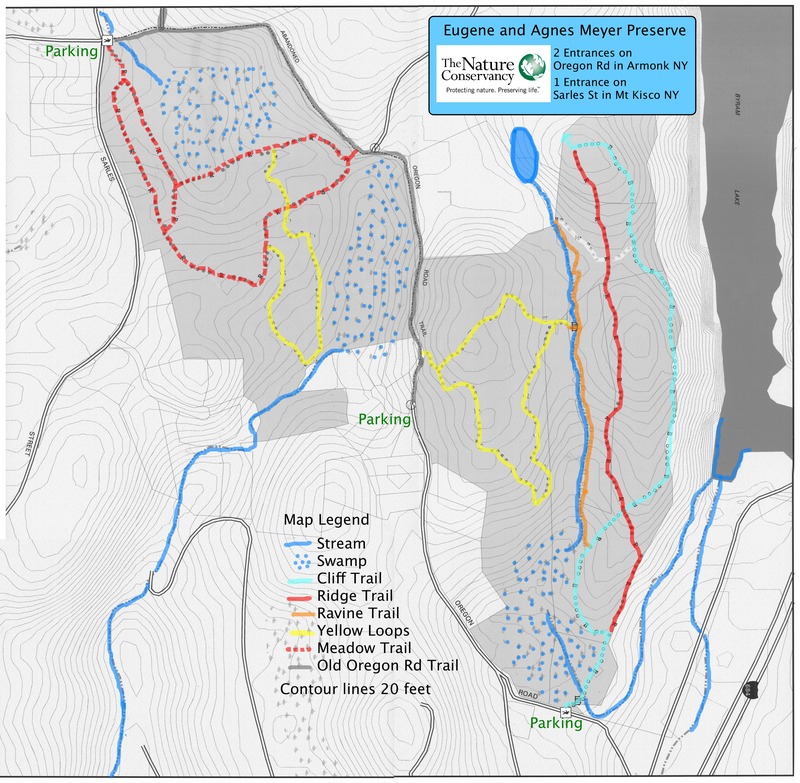 The French Hill section includes 154 acres in Westchester County. It is heavily wooded and has a 20-acre wetland area. The heights east of this spot were occupied by the French army under Rochambeau during the American Revolution. 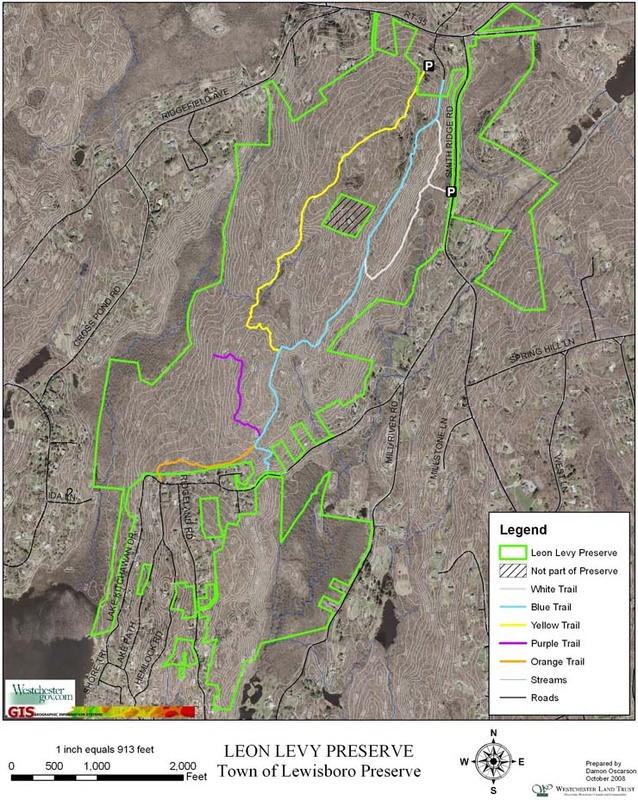 The larger Indian Hill includes 282 acres of woods, meadow and wetland straddling Westchester and Putnam counties. Dogs are allowed. The entrance is off 118 across the road from Croton Heights Road (Which leads to Peter Pratts Restaurant). There is a sign for the park, but Peter Pratts sign is a little more visible. No dogs allowed in the park. 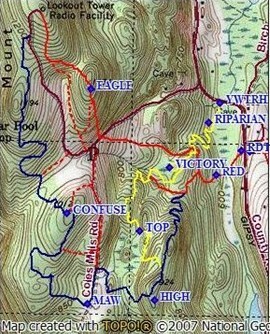 A small loop system of trails with a lookout/summit point. Small, overgrown preserve bordering Clough Preserve and the Ice Pond Area next to the Great Swamp in Patterson. Trails do not connect to the other preserves. A dirt road heads west and over a bridge just south of a small pond on Farm-to-Market Road. There may be parking for 1 or 2 cars if one pulls fully off of the dirt road and parks close to the trail head sign. These two adjacent parks have 220 acres of woods, marsh, lakes, ponds and some fields along the Hutchinson River in New Rochelle and Eastchester. 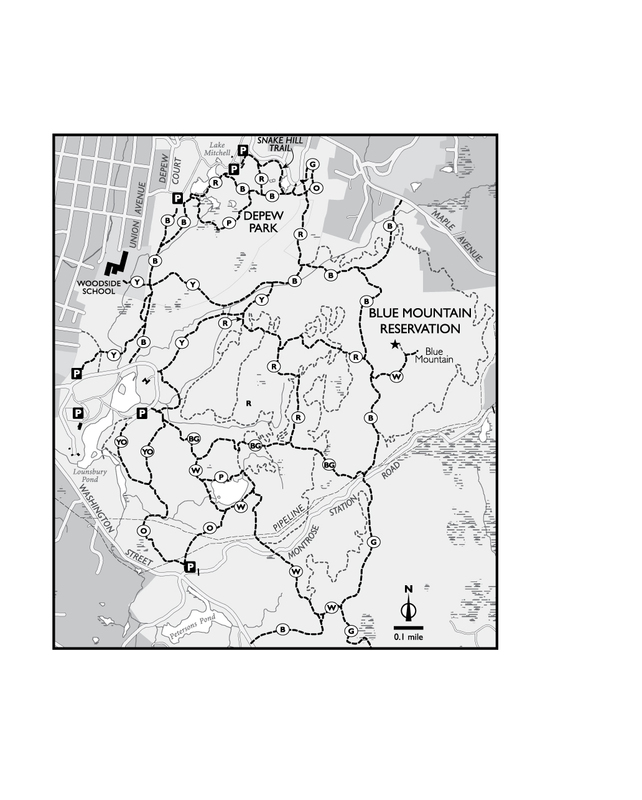 There's a nice loop around the reservoir and several access points. Dogs are welcome. The Walled Garden is open 7am until 45 minutes before sunset most days. Closed some holidays and during icy conditions in winter. No dogs allowed. A tiny little park along the Saw Mill Parkway. It can only be entered going Northbound at exit 19. Parking here provides access to the South County Trailway. Located at the top of the Bronx, just below Yonkers, this park is over 1000 acres. There's an amazing amount of wooded places for a park so close to NYC. Many trails, not well marked. Small park with an overlook over a pond. Small New Castle Town park with a few miles of hiking trails. Dogs allowed. A 62 acre, mostly wooded park on the site of a turn-of-the-century horse farm. There are a number of walking trails and a huge dog park. The Leatherstocking trail runs through the park. The largest park in Westchester, it charges $10 admission. Dogs are allowed. Westchester Amateur Astonomers have monthly stargazing meetings in the large meadow, with free admission. 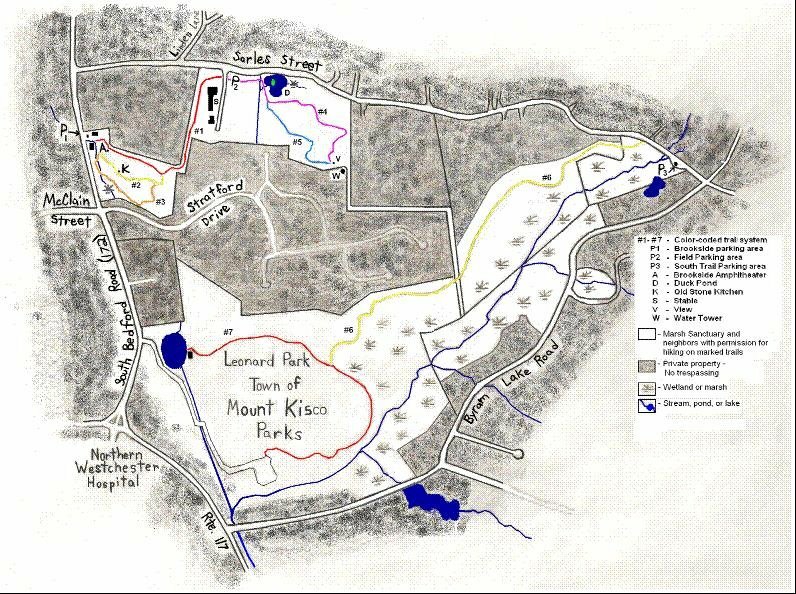 The Hudson Valley Orienteering Association also has meets in the park once or twice a year. Excellent well marked trails (8-9 miles in total) with trees lining the sides plus ample signage with well marked trail forks. A nature walk at the beginning. Some trees have identifying labels, and a ruin of a house can be found. Trails are a bit rugged, some small streams, well lined with rocks to stay dry. Dogs are allowed. There is parking at the main south entrance on Upper Shad Road at N41 10.543 W73 35.965. Also, limited parking at the entrance further east on Upper Shad Road at N41 10.831 W73 35.143. Large 625 acre nature preserve in Westchester County with several miles of hiking trails. Located across the street from Butler Sanctuary. There is a museum/visitor center open on some days. No dogs allowed in the preserve. Woodsy 167 acre park with a pond and a few trails. Dogs welcome. Converted from a 1920's summer home in the town of Patterson, Wonder Lake has 8.6 miles of marked trails in this 1133 acre park. It also includes the 3-acre Laurel Pond. 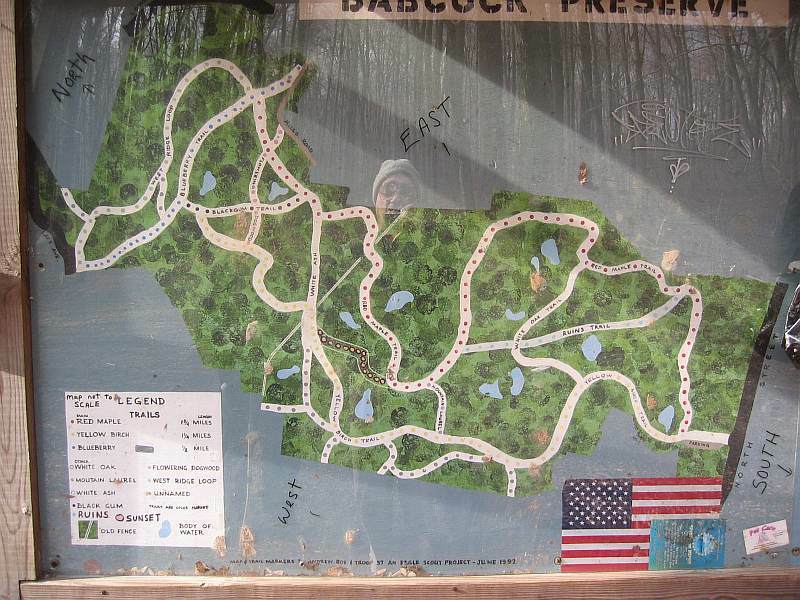 Huge, 3850 acres park in Cornwall, NY with plenty of hiking trails. Dogs allowed on leash. Great huge park. Another entrance and parking can be found on Dayton Road in Redding, N 41 16.663 W073 23.177. No dogs or other pets allowed in this nature preserve. Several parking areas along the 301 including Pelton Pond: N 41 27.721 W 073 49.714. Access to Moneyhole Moutain trail and parking for one car on Indian Brook Rd at N41 25.116 W73 53.936. More parking for Catfish Pond area at N 41 23.969 W 073 53.551. Covering 6,000 acres, the Great Swamp wetland area stretches for 20 miles through 5 municipalities: Dover, Pawling, Patterson, and Southeast. 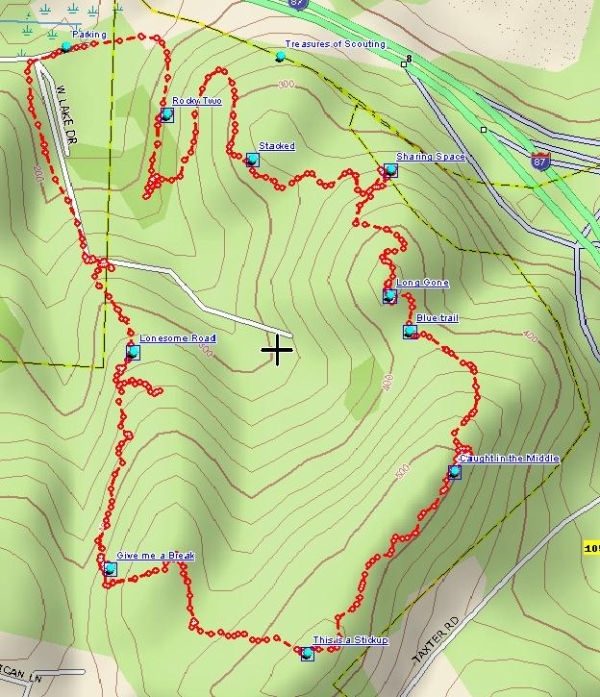 Great set of hiking trails, part of the Ridgefield Open Space. Hemlock Hills is (mostly) closed to all hikers from Oct 15 - Dec 18 when firearm hunting is permitted from Oct 15 - Dec 18, except Sundays and all of Thanksgiving weekend. Room for several cars in the small lot at Bogus Rd. Additional parking can be found on Pine Mountain Rd. Near Rockland Lake and Nyack Beach on the west side of the Hudson. No dogs allowed. Roseland Quarry, Riker Hill Fossil Site, and Walter Kidde Dinosaur Park are all contiguous to Becker Park in Livingston, NJ. Trails are a bit overgrown, but once you get to the slate bed area, one can spend time poking around looking for dinosaur tracks. Dogs allowed. Three trail loops begin next to the Russel Wright Design studio in Garrison. 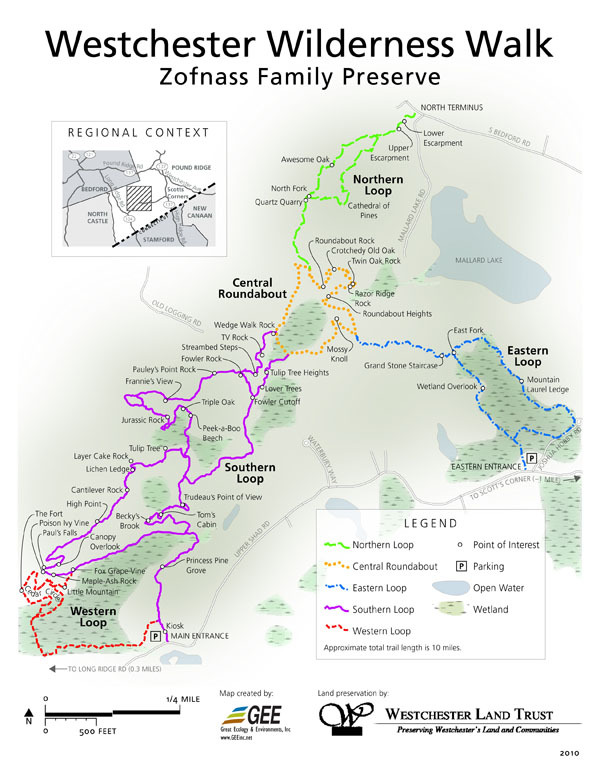 The longest loop is 1.5 miles and climbs 400 feet through forest and there is access to extended hiking on the Osborn Loop Trail and Appalachian Trail in the adjacent Hudson Highlands State Park. The drive is not plowed in winter. A long park along the Hudson River on the New Jersey side. One of its truly stunning hikes is along the Giant Stairs, a rock formation created by thousands of landslides over the eons. The trail here proceeds for about a mile scrambling across the rocks and large boulders. Franklin and Cedar Hill, Nyack // parking on Elizabeth Pl // small lot at Hudson Terr and Ash St, Piermont // Sparkill Town Square // more parking at the back of the Lowes parking lot, Highview Ave and Greenbush Rd, Orangeburg. The Raymond G. Esposito Memorial Trail, Old Erie Path, and J.B. Clark Trails. The R.G. Esposito Trail starts just south of main street in Nyack at S. Franklin St. & Cedar Hill Ave. and runs approximately 5 miles south to Piermont becoming the Old Erie Path along the way. The Old Erie Path turns west and links up with the J.B. Clark Trail in Sparkill. Unpaved, but flat trails great for walking, biking, and bringing the dog along. Fairly large park in Ridgefield, CT with a few miles of hiking trails, a large lake for fishing, and dogs are allowed. 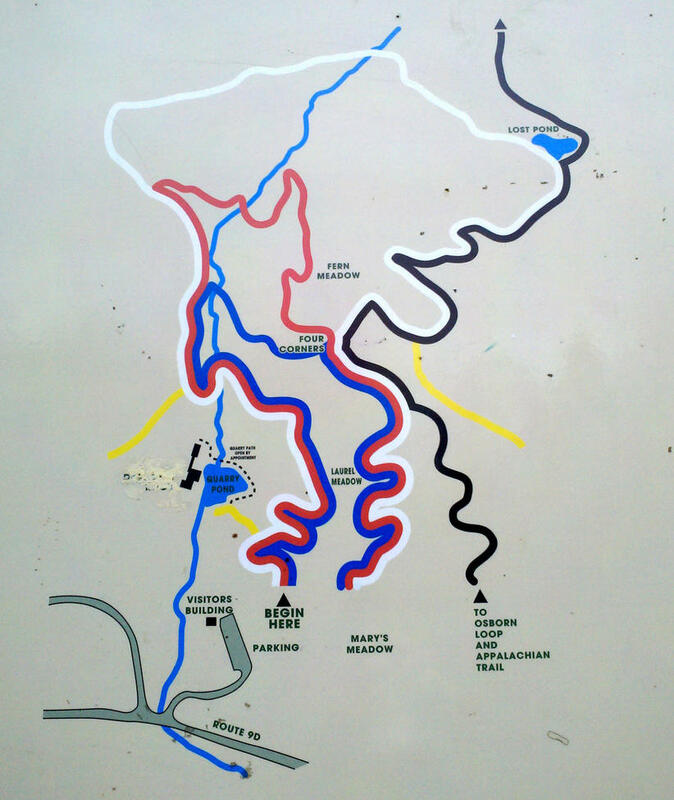 From Central Highway one can access South Mountain County Park to the west or Hi Tor State Park to the east. Note: Stewart is closed to non-hunters during regular big game hunting season, Oct 1 - Dec 31. The 6,700-acres of Stewart State Forest are unique in the northeast and increasingly rare in the Hudson Valley. A mix of wetlands, fields and forest, the site includes 18 miles of gravel roads and more than 22 miles of major trails for hiking, biking, horseback riding, hunting, dog training and trials, skiing, snowmobiling, bird watching and fishing. The place has hundres of geocaches! !